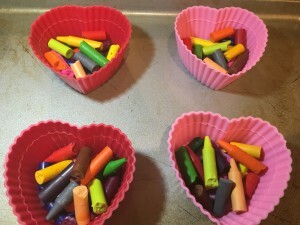 First thing you need to do is take off the wrappers off the crayons. The easiest way to do that is put them in a bowl of hot water for about 30 seconds. The wrappers will start peeling right away. 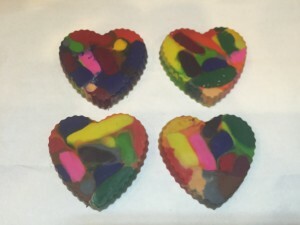 After you have peeled all the wrappers break up all the crayons in small pieces and put a mixture of each crayon in each mold and place all the molds on a cookie sheet. Put in the oven for about 12 – 15 minutes at 350. 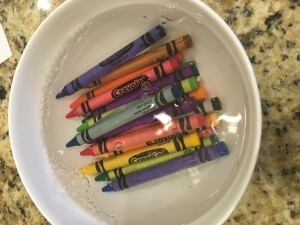 When the crayons are all melted they will be like water, you just need to take the tray out of the oven and let it sit on the counter till they harden up (about a half hour). Pop them out of the mold and that’s it. 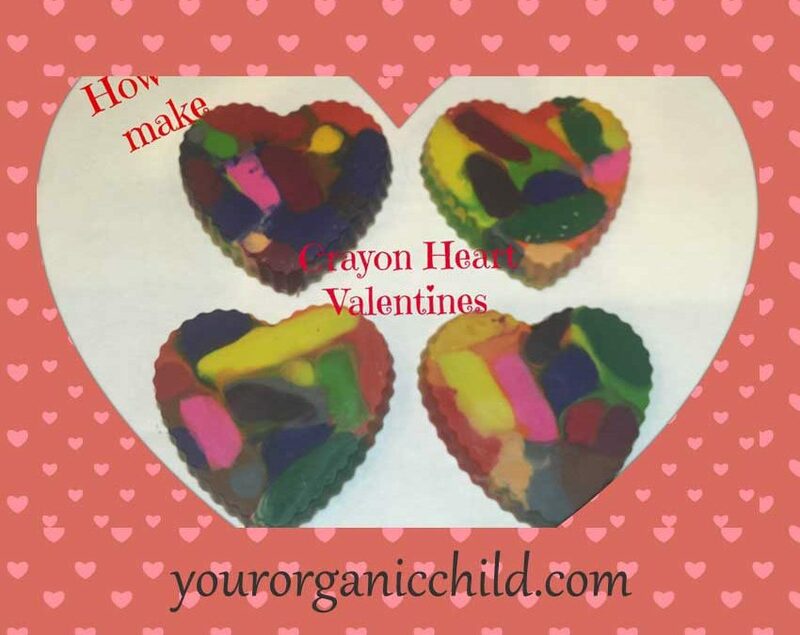 You can attach them to a Valentines card or put in a little decorated clear bag to give out.